Raffir Mammoth Ivory is real mammoth tusk from the last ice age (10,000-40,000 BP). We have developed highly specialized treatments to strengthen fossils. As a result, such fragile materials are finally useful for unique luxury products. It is popular in a wide range of fine crafts and unique products. It is very useful for fine handles, jewelry and inlays. But we also recommend it for many other precious small-sized objects. 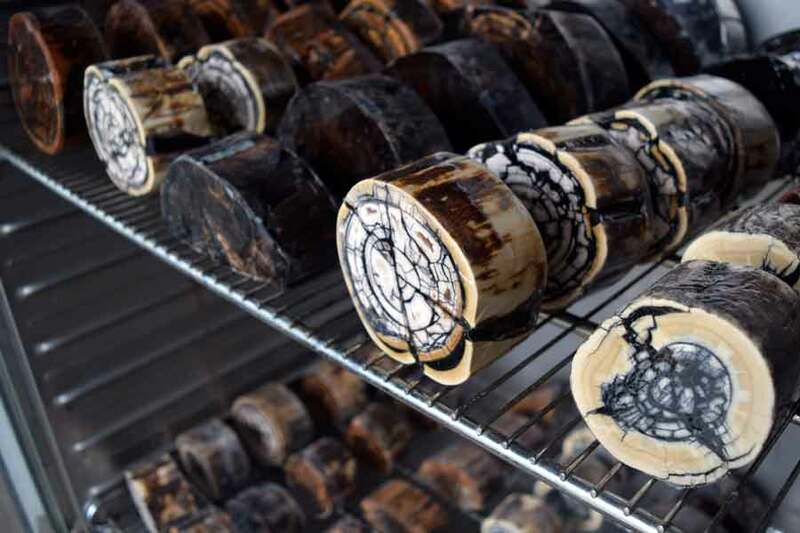 The natural colors of mammoth ivory vary greatly from bright white to dark brown. This depends on the temperature, humidity and sediment composition where fossil hunters find it after thousands of years. Please find the typical array of natural colors below. The availability of each color differs from batch to batch, so please contact us for specific requirements. The mammoth tusks are not yet petrified. Therefore, normal tools for bone and horn are sufficient. Diamond tools are useful, but not necessary. The dimensions depend a lot on the input material. Obviously, the raw tusks have different sizes. Normally, fossil hunters only find them as fragments.This also limits the product sizes to smaller objects.. Our standard handle blocks are 120*40*25mm. We also cut scales pairs of 120*40*6mm. Meanwhile, most of the material comes in non-standard dimensions. In example, we only fix the crosscut discs (to the right) on thickness. So check our retailers for their current availability. Otherwise please contact us for special requirements.